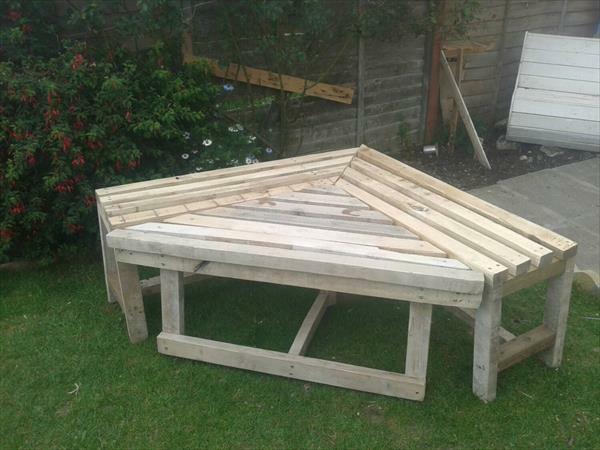 Copy this garden furniture inspiration with pallets and get yourself relaxed anytime surrounding natural greenery! It is not the pallets but you can use the pallets instead to get a multifunctional garden sectional unit for sitting, afternoon naps and for daydreaming while enjoying your loneliness! Have a closed view of this DIY wooden sectional bench and triangular table, can be fit together to get a comfortable garden lounger! Bench comes with an L-shape and one can fit it to any corner of his interior or exterior living spaces for a comfortable sitting arrangement! Table can be set apart to eat your meals to go with some decorative functions with it, and can also be fit to the bench shape to get a lounger to get your whole of your body relaxed with your legs stretched and unfolded! 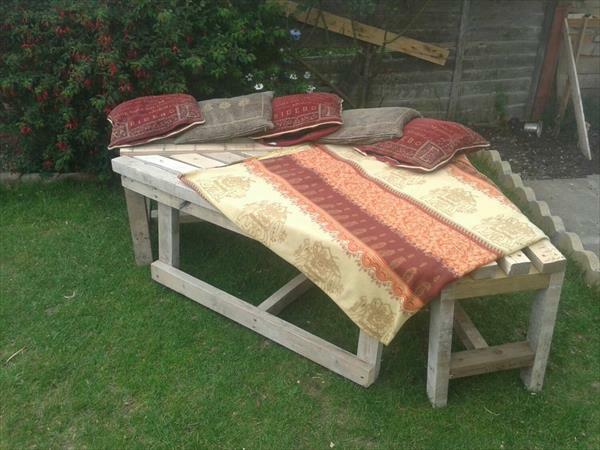 Reclaimed any old wood from home or collect some pallet to clone this rare and matchless garden sitting unit!